Villa Feliz Flowers is a local Tucson florist that is prepared to create any arrangement and any decoration for your wedding day. This team has extensive experience designing custom bouquets for brides to carry down the aisle but they also have the ability to take care of all of the wedding flowers. 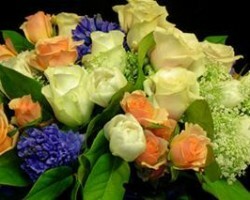 Hiring this company means that you can count on the flowers being fresh, beautiful and fragrant. They will add nothing but romance and class to the entire occasion. The team at Tierra Linda Designs has a passion for artistry and design as it pertains to flowers, specifically for weddings. This team doesn’t just pick flowers of the same color scheme to go into a vase, they work with you to make the best flower selection and then incorporate outside items into the designs for the décor of the day and the centerpieces. The bouquet, the boutonnieres and the entire floral design for the event will be customized to the couple and the occasion. This is something reviews of the service rave about. If you want your wedding flowers to be completely customized and have an artistic touch then you need to seek out the services of Posh Petals. 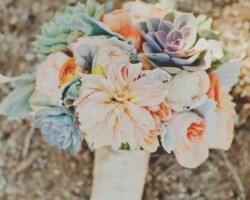 These florists in Tucson, AZ have years of experience creating unique floral arrangements as centerpieces for the reception tables as well as personalized bouquets for brides. Working with this company means having more than just flowers on your big day but romantic touches that will transform the atmosphere of the occasion to be even more intimate and beautiful. 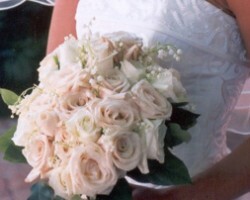 Beautiful flowers for your big day are available when you buy them from Abandale Florist. 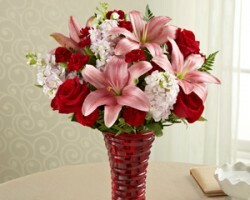 This company provides flower delivery in Tucson as well as beautiful arrangements for weddings and special events too. The aim of this company is to maintain the freshest selection of flowers so that you will be able to choose from the best of the best. In terms of prices, this company offers some of the most affordable flowers and arrangements too, which can lower the overall cost of the event. 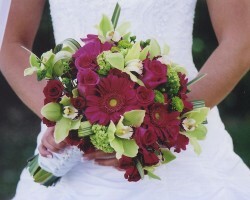 For over 20 years Flowers by Florian has been one of the go-to flower shops for bridal and wedding flowers in Arizona. One of the best things about working with this company is the flexibility in their services. The designers and artists have the skills to adapt their arrangements to suit any request. They can come up with designs that suit a themed wedding or incorporate outside items like branches and jars into their work to provide an even more custom service.